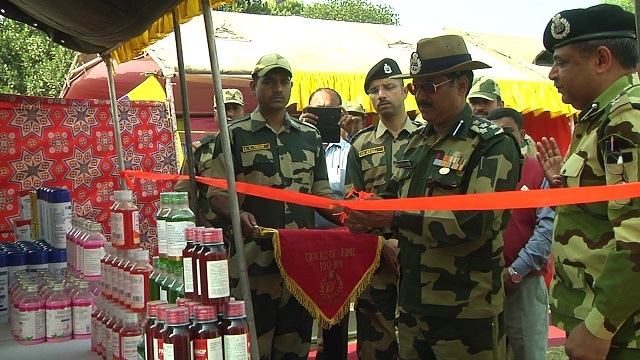 The 120 battalion of Border Security Force (BSF) organized a health camp besides distributing books, water tanks, dustbins and sports materials under its civic action programme (CAP) in Bhagalpur area of West Tripura. DIG BSF SHQ Gokulnagar, Brajesh Kumar who in presence of Commandant Ratnesh Kumar inaugurated the goodwill gesture programme and interacted with the border villagers. On the occasion he said that border force intends to maintain good relation with the bordering population besides sending a message that BSF besides protecting them also thinks for the prosperity and development of the border population. Doctors and medical staff from force attended more than 500 patients in the health camp and distributed free medicines. Rakhi Sarkar, a resident praised the BSF for its healthcare activities. 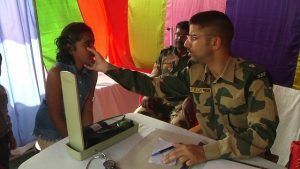 Meantime, Susmita Datta, Akash Das, and Jewel Das – all students from various bordering schools expressed their gratitude towards the border guards and viewed that they received various sports materials from the BSF and which will not only help to keep them physically but also mentally sound. School students also performed various cultural activities during the programme. The mission of CAP organized by BSF is to inculcate a sense of security by harnessing co-operation of the border population through practically reaching them to serve them to establish that the nation and its soldiers are for them.